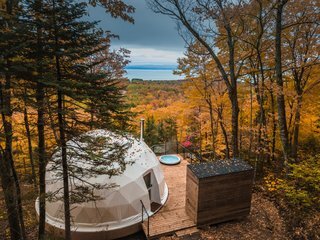 In the municipality of Petite-Rivière-Saint-François, near Le Massif ski resort in Quebec, Canada, three land developers and entrepreneurs have created Dômes Charlevoix—three glamping domes tucked into the woods overlooking the St. Lawrence River. 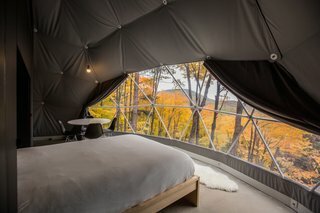 The developers ordered three 50-square-feet domed pods from geodesic dome kit makers F.domes, then hired Quebec firm Bourgeois/Lechasseur Architectes to help them elevate the interiors of the domes, transforming them into refined retreats that can be enjoyed through all four seasons of the year. 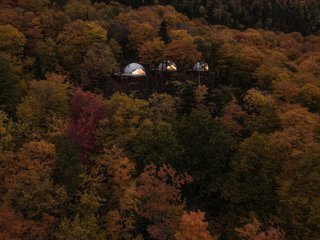 The three domes that currently make up Dômes Charlevoix are nestled within a sea of trees. "The owners wanted to develop a different experience of hostelling," says one of the firm founders, Olivier Bourgeois. "They had seen such domes before in the Alps, so they made contact with F.domes to order the product. 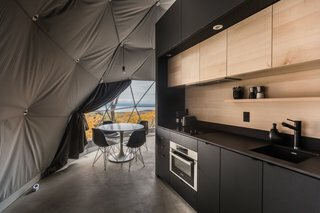 They needed us to help them put the elements together, enhance the beauty and livability of the domes, elevate the interiors, and adapt the product for the Canadian climate." 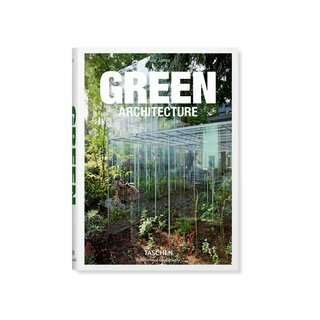 Where the Grass Really Is Greener Eco-friendly building in the world today Sprouting with fresh ideas and sunny outlooks, this compact edition brings together the best examples of contemporary green buildings today. An IKEA Docksta table outfits the minimalist interior, which allows the view to take center stage. 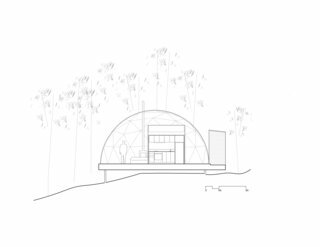 The three domes, which are the first phase of a larger eco-tourism project, are perched along a mountainside, and perfectly integrated into the woodland landscape. A deck with a spa pool allows visitors to soak in the outdoors. 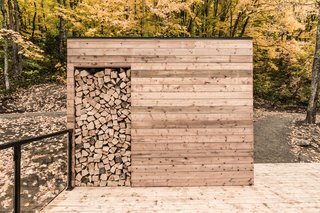 Outdoor firewood storage ensures that guests are well stocked. 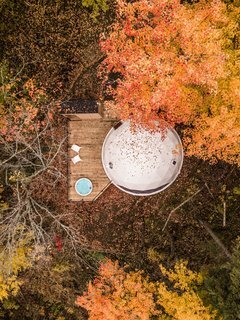 Accessible via a forest path that begins at the parking lot at the entrance of the development, each dome is set upon a wooden deck with a hot tub, and includes a main bedroom with a large, south-facing window that looks out to breathtaking view of the St. Lawrence River. 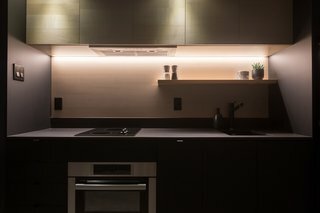 The kitchen features a Bosch HMC54151UC oven and microwave combo. 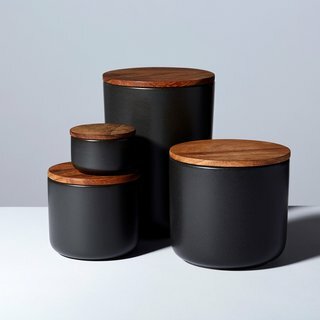 Woog by Mobilia bean bag seats and a STUV 30-compact fireplace create a cozy interior. 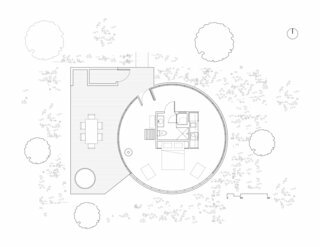 In the middle of each dome is a streamlined, black box that conceals a full kitchen, a washer and dryer, and a bathroom with an Italian shower. 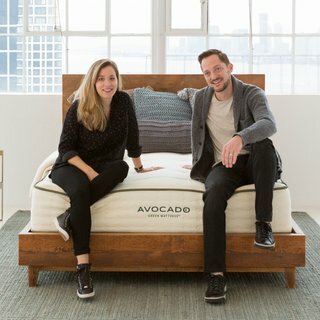 The bed is by Simard Cuisine. 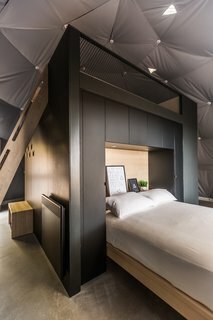 A boat staircase leads up to the top of this black box, where a second bed is located in a compact sleeping loft. A Kitchenaid KECC056R cooking surface allows you to prep hearty meals. 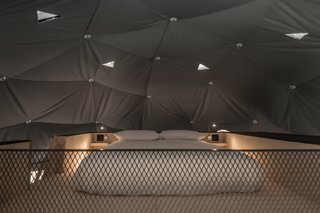 A muted, gray, textile membrane tent gives the dome’s interior walls and ceiling a soft, clean, and contemporary look. The second bed is located above the black volume. Triangular skylights allow guests to glimpse the outdoors. 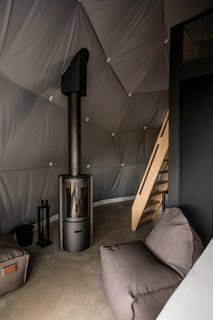 Radiant concrete floors help keep temperatures uniform throughout, and a fireplace adds that warm coziness that’s essential for an unforgettable glamping experience. Book your stay at Dômes Charlevoix.